Adam Hirsch of the New Republic recently published an article on the Donme. 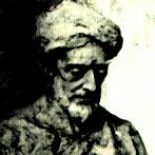 The Donme were Jews who accepted the messianic claims of Sabbatai Zevi and converted to Islam following their master’s lead. They continued to practice certain Jewish customs even after their conversion. They existed in some numbers well into the 20th century. They are often incorrectly attributed significant influence in the Ottoman Empire, though part of this is simply linked to the mystery that surrounds the group. Many of the Donme were from Converso backgrounds. The article references the publication of The Dönme: Jewish Converts, Muslim Revolutionaries, and Secular Turks by Marc David Baer. Baer distinguishes the Donme from Conversos who continued to practice Judaism. The Donme, Baer notes, were effectively a different sect as opposed to Conversos who clandestinely preserved Jewish practices. This entry was posted on February 14, 2017 by rambam442013 in Crypto-Jewish History, Sephardic History and tagged Conversos, Crypto Jews, Donmeh, Sabbatai Zevi, Sabbatean Movement, Sephardic Jews.